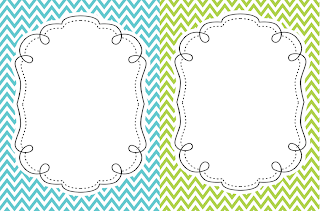 I am loving all the quatrefoil and chevron prints for back-to-school this year! I know it will be something that is probably only trendy for awhile, but I can't wait to use items with these fun designs next year! I made a few freebies that I thought you might want, too! 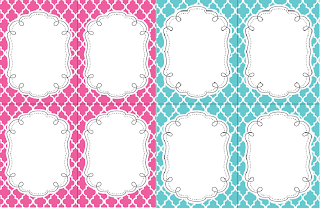 The first item I made was a fancy quatrefoil editable notecards. They can be used for so many things and they are cute enough to print black and create something on your own! This free set includes 9 different colors and can be printed on regular paper, cardstock or even photocopied for a notepad. 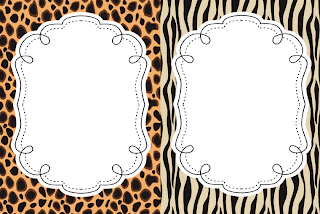 Since our PBIS school-wide theme is Jungle Safari next year, I had to make something with animal print to go along with our theme. I decided on editable Class List Posters. There are 12 different designs. You can use these for a class list, Guided Reading groups, school supply list, wish list, rules, student recognition, etc. I would love to know how you use them if you do something different! 2 - editable single text lines for your name and your grade level, school year, etc. 1 - editable text box with multiple text lines for your student names. There is room for approximately 26 names or lines of text. I couldn't resist a chevron print, too! 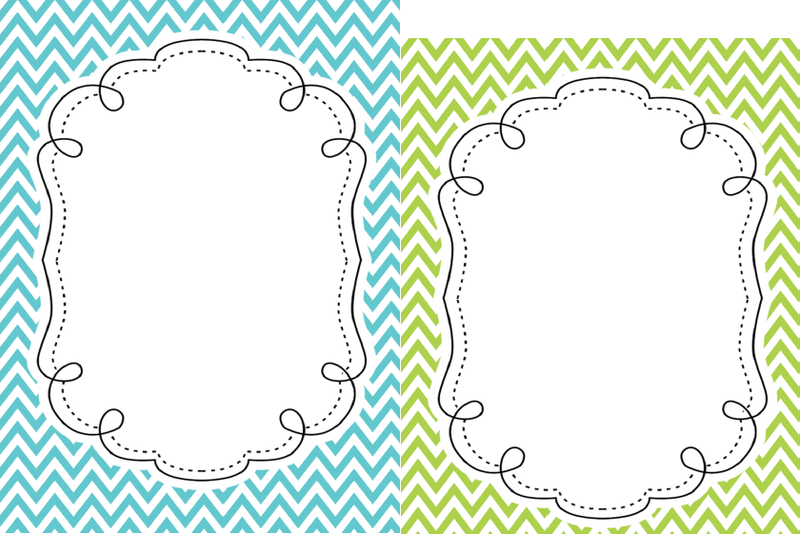 These editable Chevron Class List Posters are only $1! It includes 10 different chevron print colors! I am working won some editable chevron notecards, too. I hope to get them posted soon. Thank you! They are all so pretty. Thanks, Chrissy! ;) I hope you're having a great summer! Gorgeous labels that I can't wait to use. Thanks so much and by the way your blog design is fantastic.